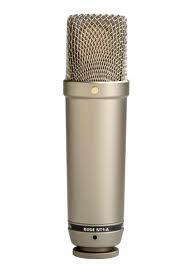 The Rode PSA1 is the perfect microphone stand to mount a microphone to a studio desk or any other hard top. 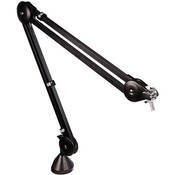 If you’ve seen broadcast booths or radio stations you’ve seen this mic stand in action. The PSA1 rotates 360 degrees with a maximum reach of 32.5 in. horizontally and 33 in. vertically. It can mount to virtually any microphone out there.